CU Experts is a research and expertise discovery tool that enables collaboration among researchers across all disciplines. Browse or search information on CU Boulder people and research. Need to update your faculty profile? Click here to find out how. The Office of Industry Collaboration promotes and supports synergistic opportunities for engagement between CU Boulder and industry and business. Strengthening these connections provides benefits to partners, students, and local, state, and national economies. The University of Colorado Boulder provides faculty expertise to local, national and international media on a variety of topics. Find information about covering stories on campus and get help arranging interviews with faculty experts on the For Journalists page of CU Boulder Today. 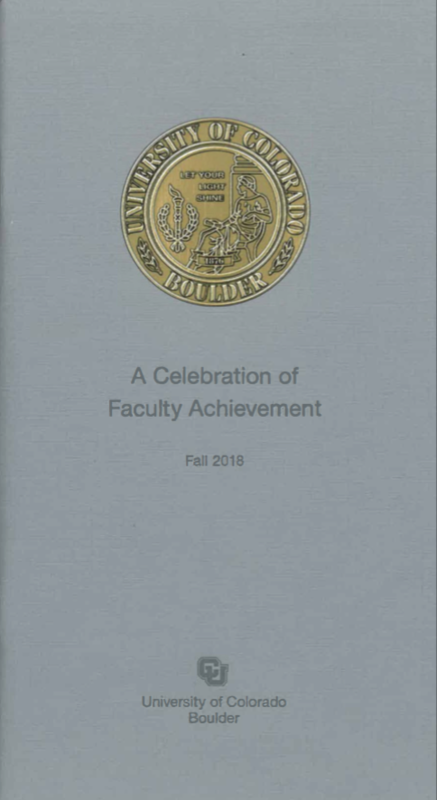 Faculty Affairs is pleased to recognize CU-Boulder's faculty for their important work. This annual publication features awards at the campus level and beyond.